To increase funding and to maximize supporter engagement UNICEF Niger communicates with a wide range of stakeholders – including Government, donors, individual supporters, key influencers, businesses and general public, including children. 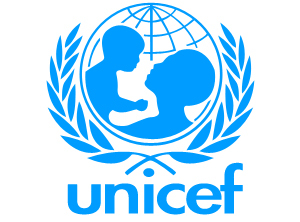 In this framework, UNICEF Niger seeks a professional Graphic Designer to provide creative and compelling visual communication materials for different programme sections. The overall objective is to set up a roster of pre-approved Graphic Designer (Consultant) with agreed, when-actually-engaged fees and terms of engagement. This will also help UNICEF to contract their services to document UNICEF’s activities on an “as needed” basis, to share with stakeholders at the national, regional and global level, and to use as an advocacy tool. Design and produce motion graphics, as requested. Quality designed products for various UNICEF programme sections, as requested, completed in line with UNICEF brand requirements and delivered within specified deadlines. Payment is linked to receipt and satisfactory acceptance of deliverables. The duration will be determined on a need basis and a contract for the consultant will be raised for the period in which he/she is needed. The consultant shall have regular interactions with the Communication Chief and other communication staff at the various stages of this consultancy to assess the situation/assignment; agree on the process and clarify the deliverables; and track the progress. The consultant is expected to work home-based and independently: s/he will provide the equipment needed to ensure her good performance (laptop, phone, email, other supply…). Experience of working with printing and production companies. Contracts will be done on an as-needed basis. When assessing consultants on the roster for specific assignments, the pricing, availability and technical expertise will be reviewed prior to contracting decisions.